Ms. Vera Gail Jones, age 68 of 3557 McKinnon Road, Fayetteville, NC departed this life Friday, November 2, 2018. Funeral service will be held on Saturday, November 10th at 11:00 AM in United Friends in Christ Fellowship Church, Autryville, NC. Burial will follow in NcNeill Cemetery, Fayetteville, NC. Viewing Friday, November 9th 2:00 PM to 7:00 PM at the mortuary. 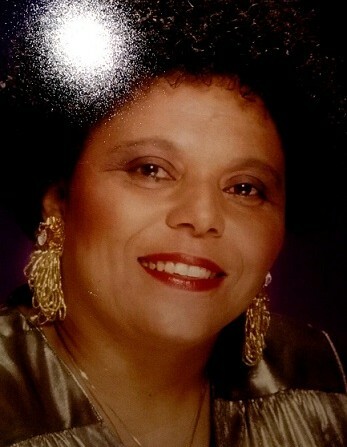 She leaves to cherish her loving memories: father, Roscoe McNeill (Rena); son, Michael Jones (Demetria); daughters, Victoria Hair (Jerry) and Celestine Whitted (Brad); brothers, Roscoe, Jr., Gary, Michael, Douglas, Donnie, and David; sisters, Mary (Jimmie), Connie, Gloria, and Grace; seven grandchildren and a host of other relatives and friends.